I love my Silhouette and I rarely feel limited by it - even though I have the smaller Portrait. But on a recent project even the larger CAMEO wouldn't have helped me. 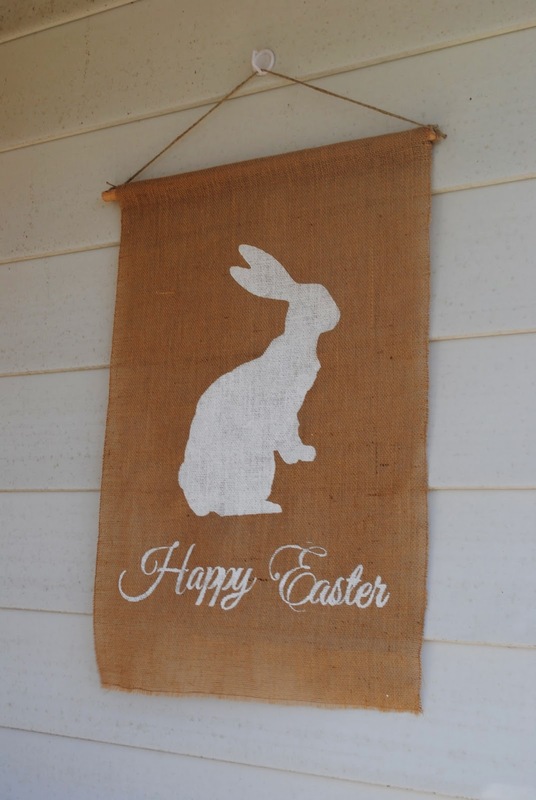 I was making a large burlap Easter banner/flag and a stencil that was limited to just 12" wide (or in my case 8" wide) would have just looked lost on this large flag. They say necessity is the mother of invention...and I needed a bigger stencil so I figured out a way to do it. 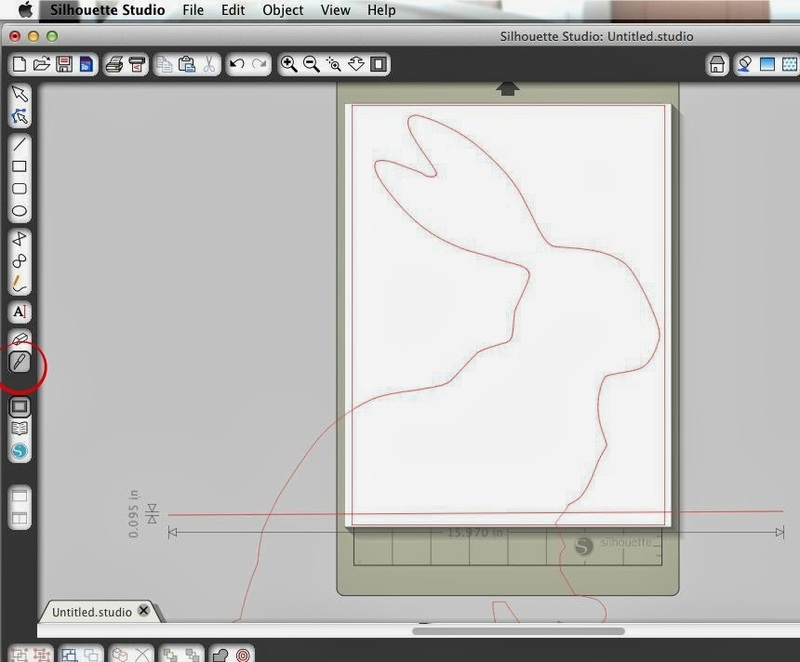 The first thing I did was create my design in an easy-to-manage size in Silhouette Studio. Once it was all set I enlarged it to the size I wanted (Select > Pull Corner Diagonal to size). Then I used the knife tool (circled) to slice a straight line completely across my design near where it ran off the cut area grid. You can see I actually needed to make 3 sections to fit my complete design. I cut and pasted the bottom half of the bunny in a second work area and moved the triangle piece from the bunny's back into an area where there was some extra cut space. It's important that after you slice your design into sections you do not resize any portion of it or it will NOT fit back together correctly. You can see I will have to cut small sections of the freezer paper away - but I don't do any cutting until I get at least one of the pieces adhered to the burlap. 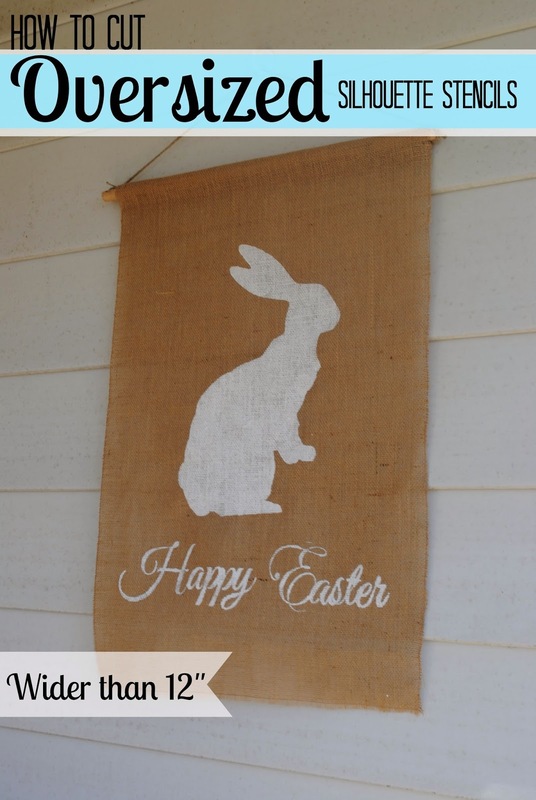 For the tutorial on how to make this Pottery Barn Knockoff Easter Flag head over to our sister site Two It Yourself. Do you know how to do bigger and more complex stencils? I currently print my stencils, from a pdf document, in poster size, and i then hand cut every line using a craft knife. To keep the design together i have to leave small bridges so the design does not fall apart or sag. To give you a perspective on size, most of my stencils end up being 3 pages wide and 3 pages long. I need help; my hands and sanity cannot take much more. You can't imagine how helpful this was. Thank you, thank you, thank you.